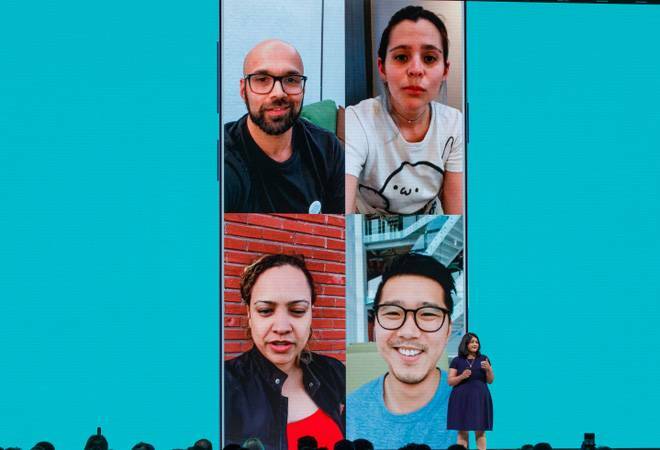 After all the talks, Whatsapp has finally rolled out group voice and video calling for iOS, Android and Windows smartphone users. Now users can chat on audio and video with multiple members of groups at the same time. On Android, the feature is available for Whatsapp Beta/Stable version users while iOS users need to simply update their app to the latest version to avail group voice and video calling. The new feature is going to be available soon to Windows Phone users. This feature was first announced at the Facebook annual developers' conference and the feature has been spotted on WhatsApp V.2.18.189. Using the group voice and video call is simple. Just follow these simple steps. Start a video with a single participant. After that, you need to click on the 'Add participant' icon at the top right corner in the video call interface. Once done, the icon will let you see your contact list from which you can select participants to talk to. When you add a participant in the video call, that person will be notified of the call along with the remaining participants you have chosen. The video calling interface allows you to add only one person at a time which means that the fourth person can be added only once the third person has accepted the invitation. On Android, non-Beta users can also be added in the four-person group call. The person can join the conversation upon invitation by others. A maximum of four people can be added in a group call. WABetaInfo on Twitter said, "WhatsApp is enabling group voice and video calls for Windows Phone users too. If you didn't get the feature yet, please wait the next days." WhatsApp has introduced several new features recently. The app enables people to delete a message sent and even delivered to someone. People can also detect forwarded messages now in the chat app. A forwarded label at the top of the message lets users know if it is a forwarded message. This feature could be helpful to do away with spam and fake messages in the chat app. WhatsApp also plans to monetize its business app with an aim to generate revenue in India. The company said it would soon start to charge major business firms for using WhatsApp business. However, the ongoing Cambridge Analytica data breach scandal has put plans of Global rollout of WhatsApp business on halt. We also came to know about new stickers which the chat app could launch in the next few months as announced by Facebook at the F8 2018.